Shaf Cangil, an educational consultant (and Open University alumni: hooray! ), who has a strong experience in SCRUM mailed me last week with a challenge: find a quiz (preferably for free) that allows multiple grading, so you can use those grades to visualize or distill a profile. Shaf wanted to set up a survey that will immediately provide feedback to the user of that feedback and tell him or her which type of scrum-person they are. She mailed me based on a previous blog in which I describe the use of google forms and flubaroo to set up mobile quizzes. So I returned to that option, but couldn't get the forms+flubaroo to provide different grades to different answers for the same question (admittedly I went through it quickly, so maybe there is an answer - if you know it, feel free to share). In a second attempt I looked around for other options, and this got me to the OnlineQuizCreator which has an option to build profiles based on the answer one gets from MCQ. Small remark: you can try out the test options for free and without registering, but as soon as you have filled in the questions and built a test the software does ask you to register in order to get access to the full quiz you have built (I went for the free option: quizzes up to 15 questions). create the categories (in this case your profiles: I used 3 categories: learner, facilitator, course organiser - crude categories, but simple for the sake of testing the tool). You must fill in titles (only example titles are given, but they do not count as 'real', so you have to change them in order to build your trial test. Also add a description to each category. You can choose to add a category URL (for instance if you want to provide some background information on that category). But you can also leave it blank. After you have created the categories, you need to create questions. 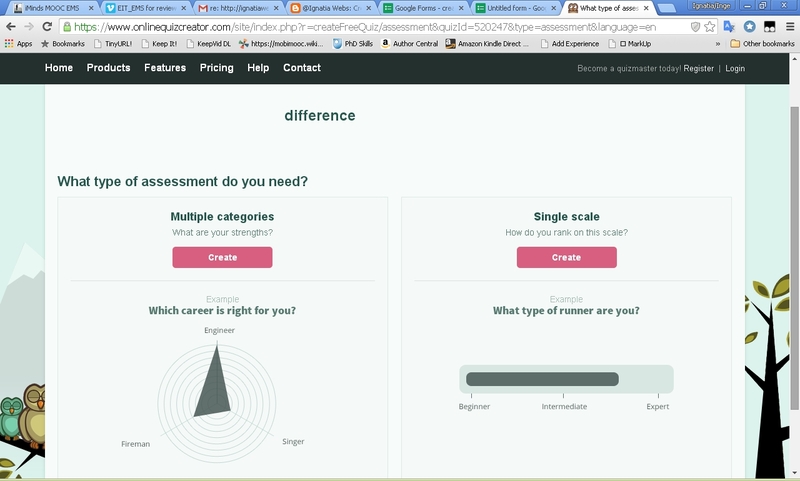 Then fill in the answers (and here it becomes exciting): you can link the answers to a category (profile) AND you can even add a grading scale to it, for instance if you are a participant in a course you are linked to the profile of the learner. But if you are a facilitator, and you consider yourself a learner: you can add full grades or profiling to you as a facilitator, but you can also add a small grade for you as a learner. Nice in case the profiles overlap at times! once you filled in all the questions, save your test. If you have not registered by now, you must do so in this step, as this will allow you to really see your test in action. 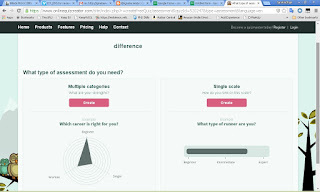 You do have an assessment dashboard, where you can change settings, colors, shuffle questions, etcetera. And the results are shown to the testee immediately (by default, you can change it). I choose the simple option, as that allows mobile use as well. Nice tool with options, and really easy to use. 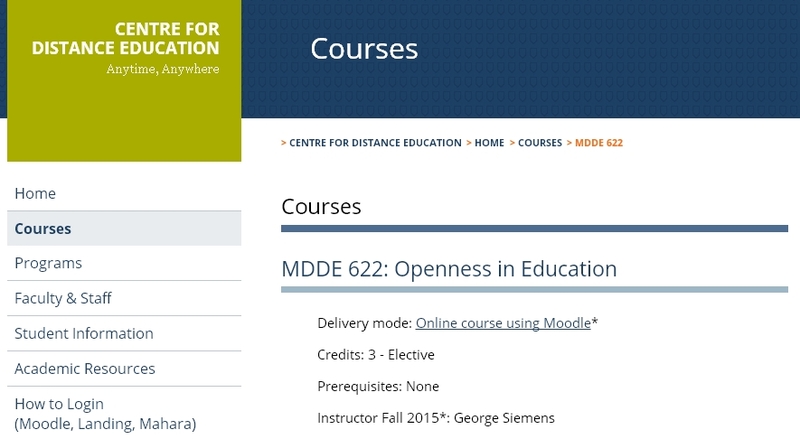 This Fall 2015, the Centre for Distance Education will be offering the course MDDE 622: Openness in Education taught by CDE Faculty member Dr. George Siemens. Dr. Siemens is best known for his pioneering work on Connectivism, Massive Open Online Courses (MOOCs), and Learning Analytics. He acts as the Associate Director of the Technology Enhanced Knowledge Research Institute (TEKRI) at Athabasca University, has authored many books and articles including Knowing Knowledge and the Handbook of Emerging Technologies for Learning, and is the founding member of the Society for Learning Analytics Research. More recently, Dr. Siemens was invited to the White House to share his research on Innovation and Quality in Higher Education. More information about this exciting course can be found below. Openness in content, data, government, and access is influencing organizations of all types. Education is influenced heavily: open educational resources and open teaching hold potential to disrupt the full spectrum of education: policy, learning development, delivery, and accreditation. This course will offer a detailed overview of the history of openness in education, current trends including legal and technological developments, as well as future directions. Educators in all sectors (primary, secondary, and higher education), as well as administrators, will benefit from being well informed of trends and the organizational impact of open education. Analyze current research views on how openness influences higher education enrolment, course design costs, and the distinctions between peer-developed resources (“crowd sourcing”) and centrally curated resources (expert). Evaluate prominent intellectual property and copyright systems, detailing the influence of each on scholarship. 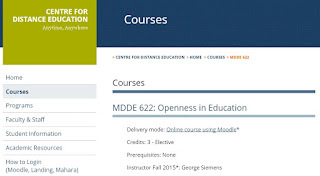 Students can register for this course online or by contacting the CDE office at mde@athabascau.ca . Ideas on methods or instruments for CLIL and MOOC learning? Help and thoughts welcomed. While planning a small research which combines Content and Language Integrated Learning or CLIL, MOOC and lifelong learning options, I am calling out for any help that you might be able to offer in terms of suggesting methods, pointing towards useful research instruments (either as they stand or to build on) or simply helping with the project (either this one, or setting up parallel project and that we share experiences). This call for help comes after some work has been done, so feel free to read up where I and my colleagues from the secondary school GUSCO school in Kortrijk, Belgium are at. Challenge and brainstorm to plan research and build research instrument(s) to be used by 15 – 16 year old secondary students to measure whether or not their language and online learning skills (in terms of self-esteem and motivation) have increased by using a teacher/classroom supported step-by-step approach where the teachers gradually step back to increase the students autonomous learning skills and competencies. This is a small, exploratory study and as such I expect to have between 10 - 15 students volunteering (with informed consent of all parties: school, parents, students) for this research. 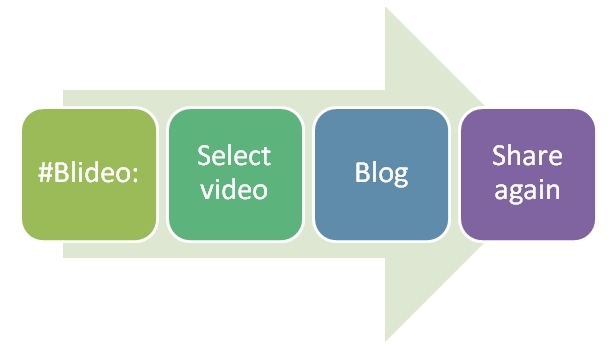 How does the CLIL MOOC project influence the learning readiness of secondary students voluntarily engaged in online learning courses which are delivered in a non-native language. The participation of students in a CLIL MOOC project increases their language and online learning skills. Build a new instrument from scratch, combining both language and MOOC skills, as well as learning to learn options. It might of course also be a mix of self-regulated and self-directed instruments, provided to the students on different moments during the academic year. The SDL test pre and post, the SRL on 3 occasions, after each term but without meddling with the exam periods. Question: which methodology would be best? Attention for: limited class time, not to be too intrusive. In view of the size of the target population, and the fact that this is a new combination of fields, I am thinking of using a mixed methodology, where attention is paid to choosing methods that are not too intrusive (as this might be difficult to combine with teachers as well as students). We will go live with this project on the 1 September, so a nice solid deadline for the actual project and I hope by then I will have my instruments and documents ready (I will). Steve Wheeler threw his new blideo challenge out into the open and with a twist towards me as well. So grabbing this new challenge with both hands, juggling it, and sending it on its way again after some additional words. For a full list of blideo's, look here (growing as I type). The #blideo challenge follows the blimage challenge which I answered to a couple of weeks ago. The blideo challenge similarly can be as easy as you want it to be, but no matter how simple or complex it might be in content, it requires some reflection which inevitably makes it an action which drives the author towards meaning. 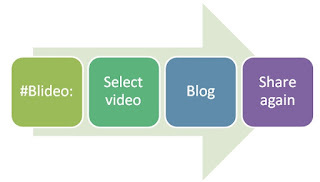 The three-phase set-up is easy: 1 - select a video (preferably one that is open to the public); 2 - reflect upon it through a learning lens via a blogpost; 3 - invite others to do the same while using the hashtag blideo (#blideo). 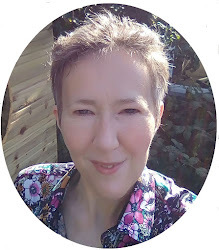 Normally one builds upon a suggested video from the person sending you the challenge... but luckily there is room for freedom, as I read Sue Beckingham's, David Hopkin's, and Pascale Colonna's posts, which were all great I thought it would be better to come up with a new video. First thought: did I come across any video that immediately made me think about learning/teaching/anything Ed-related? And yes, there is. One video keeps returning in my minds eye, emerging frequently when pondering about learning, society, groups... and hence my #blideo challenge took shape. This 4 minute video is fairly well known, and shows a set of metronomes that start off ticking asynchronously, and at the end they all move at a synchronized rhythm. This spontaneous synchronization also occurs with living creatures (swarms of birds, fish, insects...) which was nicely summed up in a TEDtalk by Steven Strogatz which can be seen here (btw can we see TEDtalks as synchronized video format depicting what presentation quality should look like?). But if inanimate as well as animate objects are susceptible to synchronicity, then humans must be too... and they are. Group behavior is fascinating, but upsetting at the same time, at least for some of us, myself included. If we all tend towards synchronized action, then we can never become truly free as we are all directed by the others. And similar, if synchronicity is inevitable, then why (or when?) do we shift towards a revolution or - to put it in weak contemporary terms - change management? And related to education: is it then possible to have such a thing as disrupted education (a much discussed shift due to new online learning and connecting opportunities such as the dawn of MOOCs)? Or is it simply a new frequency that shall be followed as nature does and which makes perfect, group sense? If such changes always end up to make sense for the group, and given the fact that humans have not attain peace, equity, global balance... any new seeming opportunity within educational technology will end up being assimilated by the group dynamic, or the sync-dogma... or sync-utopia. Let's be optimistic. Maybe we will at some point manage to get the human population to sync on societal laws and views that will be beneficial to all, despite our more or less violent past history. And of course learning/education will be a central actor in this shift, as only by transmitting new information can the group take a new direction (look at the TEDtalk from Steven Strogatz). In that case of course we must first install those beneficial guidelines or laws, and in order to do this we must experiment to find what results in peace, solidarity or any of those balanced concepts. Small efforts of asynchronous learning projects might deliver, but then it might be that those small, successful lab experiments won't survive the group dynamics once launched in society? Indeed, it might be that we need to first install a global full stop before installing the new ideas at a multitude of locations around the world, as that would enable those new group ideas to be picked up. The question is of course: who's frequency wins, or put mildly: who's frequency do we want to follow? Is it the ideas that find most resonance in the existing group? In that case, the size of a group that supports those ideas will matter (well, open door there, colonialism and its dynamics shows it again and again), or is it possible that tiny changes are indeed able to turn the full frequency of ideas around? If that is the case, we must all be critical learners. Each one of us will have to make a non-propaganda-driven choice on what they want and whether they agree upon new rules to achieve a stable society in which we all have the opportunity to reach our full potential and happiness. Or are we already on our way to a global sync enabling cooperative living no matter where? It is difficult to turn life around. We all know this in some form or another, either through big challenges that we need to overcome, or small changes that seem huge. Some of us come from humble beginnings, some of us face hardship in all sorts of ways but learn to overcome them, others pave their way towards a self-set dream with such energy that it inspires others. And depending on the region you grew up in, or the supporting (or not) family background you got, opportunities are either vast or limited and opportunities to turn one’s life around are multiple or rare. My friend Ronda Zelezny-Green took her fate in her own hands and turned it into something bigger (thanks to the support of just a few people, including inspirational teachers). 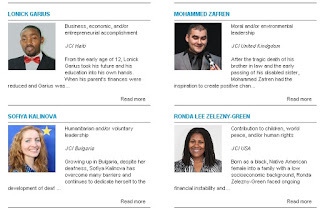 Now, she – among twenty other inspirational young people – just got nominated for the International TenOutstanding Young People Awards, an award organised by the United StatesJunior Chamber (JCs or more commonly Jaycees) nominating people between the ages of 18 and 40 in areas of business development, management skills, individual training, community service, and international connections. Every nation has its heroes. 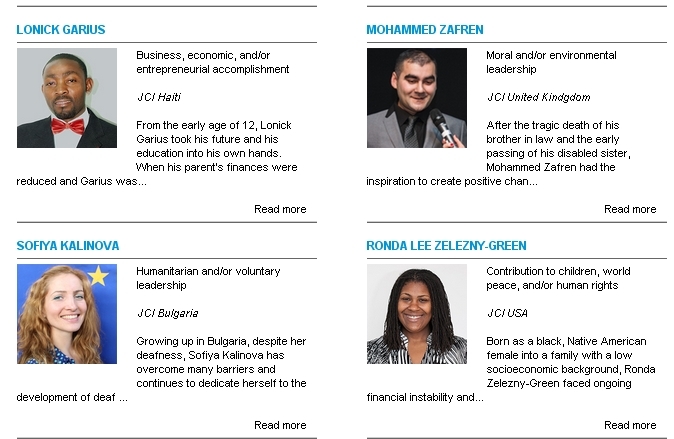 Inspirational men and women directing their own lives towards new horizons, helping themselves AND others while they are at it. So, vote for those people whose work you find inspirational, and give them an additional boost through your online vote. Ronda Zelezny-Green is my favorite and I voted for her by clicking on the like button on her page (facebook membership is needed). But I admit to voting for some others too, as support is good energy to share. So please take a look at all of these 20 wonderfully inspirational people that are nominated here. Ronda inspires me, simply because I know the work she does (combining educational technology and gender) and above all because of the person she is. She is one of those persons who take people as they are, no matter what age, schooling, background, connections … if you talk to her a dialogue develops that fills you up with energy and motivation. She inspires, listens and supports. She grew up in a tough region of Tampa, Florida and is now traveling the world improving education for all. As a young professional she was a teacher guiding kids who faced rough conditions, now she researches and propagates educational opportunities to young girls (she started in Kenya) who’s educational journey faces regular interruptions and challenges. She uses mobile learning options to create durable educational support among young female peers. To achieve this, she does not push those solutions onto anyone, no, she looks at how people develop their own solutions and then Ronda investigates whether these solutions can be used in other contexts, to help more youngsters… and it works. She also created the Gender and Mobiles newsletter, which combines the latest international news on using mobile devices in gender contexts. Each issue provides me with new information that is useful, critical … in short food for thought. It is easy to subscribe via email here. Give Jay Cross some time and surely he will come up with something new and exciting, e.g. 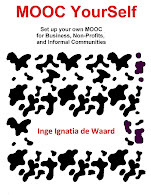 informal learning, and now an ebook on DIY-learning. It is a mental joy to read! 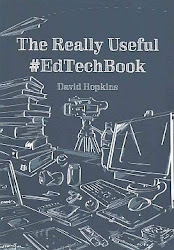 The book offers an array of actions (evidence-based) that a knowledge worker - or any power learner - can undertake in order to improve their own learning. Later on these actions offer a great set of tools to implement in your own corporate learning environment. As Jay sent out a twitter a couple of days ago, I could not keep myself from asking for a copy of his new book. In beta-release of course (version 0.8 when I got it). 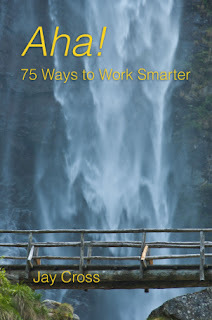 The book offers insight into learning, and more specifically increasing learning efficiency to a point of a long-lasting AHA-moment, hence the title: "AHA! 75 ways to work smarter". The book only costs 2.99 dollars and you get your moneys worth. I am only 75 pages in and I already marked several passages to reflect, act upon, and use later on in my own contexts. One of the actions Jay refers to is writing daily. Short passages (15 min is enough), reflecting on your day, but on a daily basis (something my mom has been doing for over 20 years or more, talking about a role model!). A proven action to increase your mental health, while also adding to your focus, patience, planning and personal growth (research by Teresa Amabile , nice name). Jay calls it: writing a Plog - or progress blog. Plog will be my label or meta-tag for those posts. I will add them to my 'I am going to figure out where to go next' set of writings as well, making them easy to retrieve later on. But for now, my first plog is on: discovering my Grit. This research study into Grit consists of only 12 questions you can take voluntarily to calculate your true 'grit'. Grit (paper here) is defined as "perseverance and passion for long-term goals. Grit entails working strenuously toward challenges, maintaining effort and interest over years despite failure, adversity, and plateaus in progress. The gritty individual approaches achievement as a marathon; his or her advantage is stamina". And apparently your own Gritty nature relates to evolution's in your future income, but also - and to me important - all-round happiness. It seems I am part of the happy one's and that in it's own makes me ... happy. To be honest, my score was higher then I had expected, as I can be lazy at times... just plain lazy. But apparently setting your teeth into something counts for a lot. (conversation with mom: "I really filled in the survey according to the truth - honestly mom! ", "then why aren't you making more money? ", "...Because I am more the happy gritty person, then the money greedy person", she looks at me and pats me on the back "well, that's alright then, well done"). So upward and onward! Now that I learned this bit about myself, I will go back to proceed with my thesis... hey, I have a grit score... I can and will do it, now I am sure!